The vast majority of holidays brought from Thomas Cook would be protected under the Atol scheme if the tour operator’s financial difficulties did cause it to go bust. The tour operator has asked its financial backers for another £100m to help it get through the winter, to add to its existing loans of nearly £1 billion. Thomas Cook management insisted yesterday that it would not go bust and emphasised that the majority of its sales are protected under the scheme. All Thomas Cook packages are protected by Atol, however customers who buy only a flight from the Thomas Cook website do not have Atol protection. 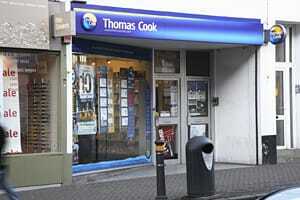 To complicate matters, customers who buy only a flight from a Thomas Cook shop will have Atol protection.